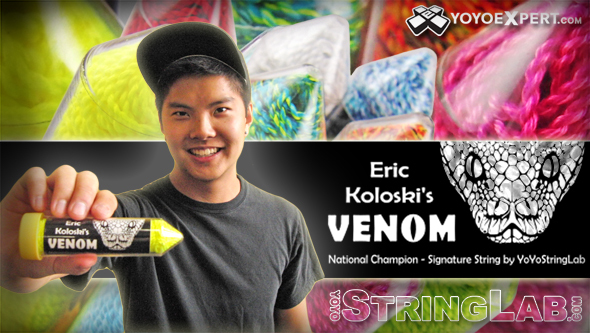 With the amazing success of their Type X String YoYoStringLab has now formulated a new 'signature string' for USA National Champion Eric Koloski. Not only is the string incredible, but the packaging is genius as well! 'Venom' comes in super strong plastic test tube with a screw on cap, each containing ten strings which come out one-by-one whenever you need a replacement. This new string keeps its tension longer and still has an exceptionally smooth and quick feel for a wide variety of tricks. Venom is tuned for competition. It's a medium thickness string optimized for whips and slack play without the extra thickness of Ammo.